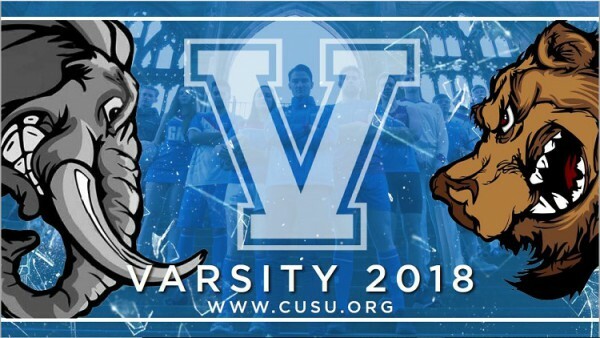 Varsity itself is a long standing sporting tradition between local Universities, with the 1st record of a Varsity event going all the way back to 1827! This was a cricket match between Oxford and Cambridge University, which still remains the most high profile Varsity ‘rivalry’. 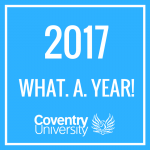 Our own Varsity competition began in 1990, and has gone on to become the stuff of legend for both the Coventry and Warwick student community. Unfortunately, we have yet to win the overall competition, with Warwick sitting at 27-0 – but that could all change this year! The competition has undergone a bit of a makeover this year, with some fan favourites (such as the Ice Hockey opener) unfortunately not going ahead. 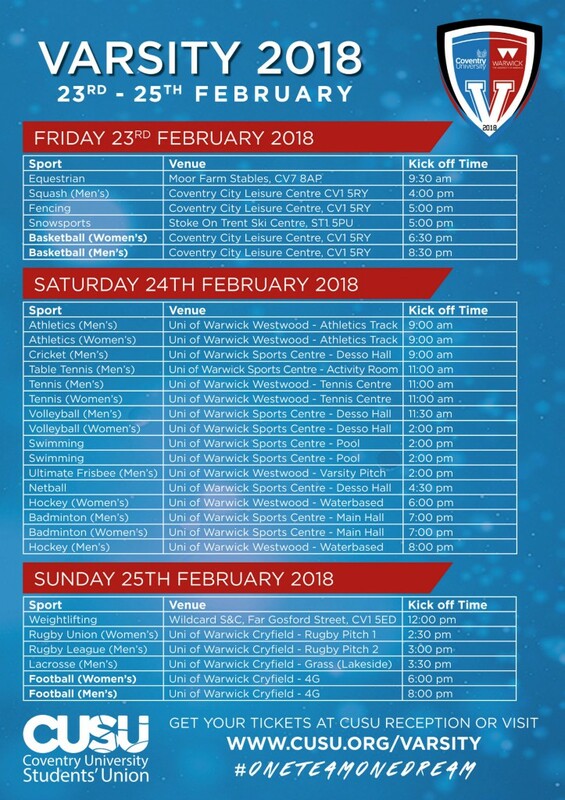 Flagship events will include the Men’s and Women’s Basketball and Football matches, with locations including Coventry Leisure Centre, Warwick Sports Centre, Warwick Cryfield and also at Stoke-On-Trent Ski Centre for the Snowsports event. Check out the full list of fixtures below. We may be the underdogs in the competition, but no one can accuse us of not being passionate about our team! The support year on year for Team Coventry is just incredible, and we need a great turn out once again if we are to inspire us to a maiden victory. If you want to get the full Varsity experience, the Students’ Union offer ‘The Big Ticket’, which grants you access to the Basketball and Football showcase matches, as well as 26 other fixtures! You can get your tickets here. Coventry Varsity will also be sharing various updates as the events unfold on their Twitter and Facebook pages.